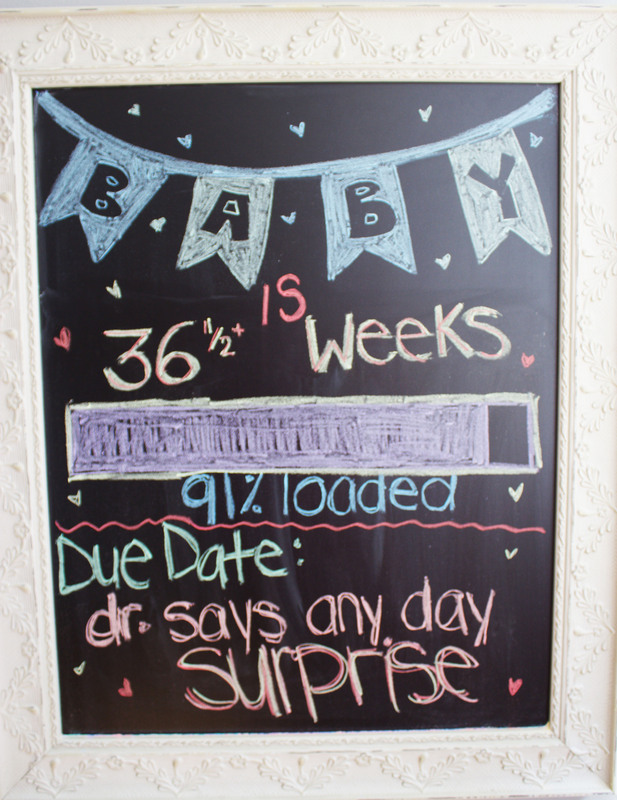 So I see the finish line… it’s so CLOSE, my doctor said it could be any day now to be exact and I just can’t wait. The time has flown and I think I am officially at that stage where I am ready to have this little being out. I mean, I don’t know how much more of a beating my ribs I can actually take! I cannot wait to show you all the finished result of his nursery, we put so much time and effort and I like to tell myself my inner interior decorator came out. At this point we have assembled strollers, swings, furniture, playards and after my Friday doctors appointment the hospital bag is ready to go and be whisked away. Its becoming so real my doctor gave me the go ahead to go get a mani pedi this weekend because he knew that was a need for me to have done before going into the hospital. Though I know anything is possible at the end of the day I want to stay as calm as possible. 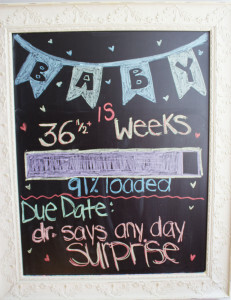 My goal is one thing…getting this being out and getting him home to start life with this new addition. I am not much a hospital gal, so I the shorter the amount of time I’m in there, the better. People have been asking what I feel like at this point in my pregnancy? Well, not so hot and that’s the nicest way to put it. I cannot sit upright anymore because the pain in my back hurts like nothing I have felt before (and I haven’t even gone into labour yet). The thought of brushing my hair and applying makeup makes me tired. Pretty much the thought of putting forth effort to do anything makes me cringe. I have to get my gem of a husband to paint my toenails because reaching and seeing my feet are a thing of the past and I thought I was taking constant washroom breaks before?… just kidding, now I pee like its my second job. A lot of complaining, I know, but that’s the reality of the situation. But, when it boils down to it, its all going to be worth it. For example, I enjoy having pushing wars with my little man. What is that? Its when a foot it sticking out of my stomach pressing through and I press right back at him, and then he kicks back at me, it’s a game that he seems to always win. If he is winning everything already and we haven’t even met him, what is going to happen when he makes his appearance? We are pretty much all set on things we need for the most part! 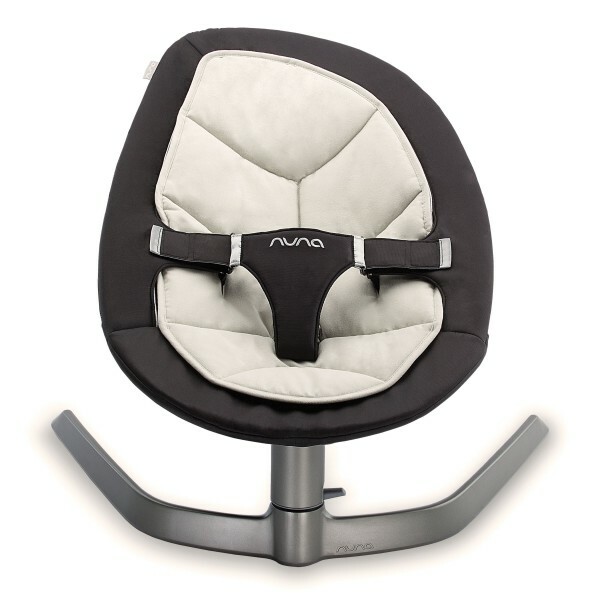 I cannot wait to put my Nuna Leaf to work, I heard this is going to be a totally dream come true! You can run around and get a couple of things done while baby is rocking back and forth! The rocking is so smooth and motor free, which is great, and will last for awhile as baby gets bigger! I will write a full review once baby arrives and gets to hang out in his leaf! The brand Nuna, as a whole, I am loving right now and cannot wait to keep picking up items from them whenever we can! Also another great brand which is also really affordable is Playgro!!! 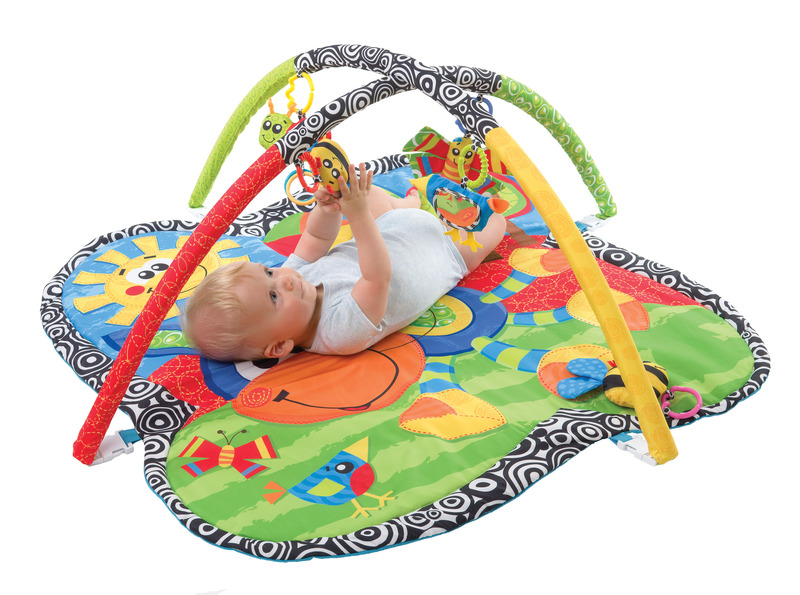 The Clip Clop Activity Gym is adorable, colourful and going to be great for helping baby develop himself and his senses! How cute is it going to be to see him trying to reach for those adorable detachable toys that hang from it! Any who, ladies and gents I will obviously be doing a lot more thorough reviews on these items and more once baby comes, but in the meantime you can read more about them online and I am hoping to be back updating you on the growing bump in week or so…. But we shall see what this guy has in store for us next!! And be sure to check out all the other awesome products these brands have to offer! The New “MDP” is in Town….